How can a gland the size of a pea and weighing less than 0.02 ounces have such a profound effect on the human body? When underactive, especially in children, the result can be dwarfism, while an overactive gland can cause some to become giants. Grown men with seven figure salaries go in search of ways to enhance its productivity and the governing bodies of both the sporting world and the law look for ways to suspend use of drugs that can artificially enhance this oh-so-important bodily function. Of course, the gland in question is the pituitary gland, a tiny thing located at the bottom of the brain, that supplies our bodies with a growth hormone you might have heard mentioned once or twice: human growth hormone or HGH. The use of HGH has come under great scrutiny in the latter stages of this decade, with links to sports superstars such as Barry Bonds, Alex Rodriguez, and Tiger Woods. As recently as May, 2010, a Toronto physician, Dr. Anthony Galea was criminally charged with dispensing illegal drugs in both the United States and Canada. 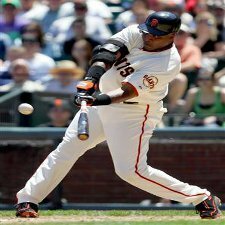 Galea has been linked to major sports associations such as MLB, the NFL, and the PGA. He has been known to have delivered HGH kits to pro football players and has used “blood spinning” techniques to help players get over injuries quicker, and his criminal case is still ongoing at this time. First off, using HGH drugs without a prescription is illegal under federal law. The law states that “human growth hormone is a prescription drug but is not on the federal list of controlled substances (found in 21 USC § 812(c)).” The law also “prohibits the distribution or possession with intent to distribute HGH for any use in humans other than for recognized medical reasons and pursuant to a valid prescription. Violations may be punishable by imprisonment of up to 5 years (10 years if to a person under 18 years).” For years, HGH supplements and treatments has been distributed to patients, especially older male patients who have seen their body mass dwindle, as a way to improve quality of life. Yet, since the FDA has classified this drug with anabolic steroids as illegal to distribute without a valid medical reason, docs like Galea and athletes like Bonds get into a lot of hot water for distributing taking the substance (and lying to the grand jury doesn’t help either). HGH supplements are valued by high-profile athletes in high-profile leagues for several reasons. Higher HGH levels allow athletes to complete more training while training harder. Athletes are less likely to break down physically and can bounce back from injuries quicker, thus, enabling performance to increase to peak efficiency. From cyclists to weight lifters, athletes can see results in better times, more endurance, more strength, and, for the professionals, better stats and a big pay day. “What about me?” you might be asking by now. Regular weekend warriors can’t afford $100,000 HGH kits, unless they plan on opening a second mortgage and even that is a dicey proposition these days. How can the average person, who wants to increase performance, benefit from increased HGH levels? There are proven natural ways to increase your body’s growth hormone levels without breaking federal law. According to Dr. Walter Thompson, director of the Center for Sports Medicine, Science, and Technology at Georgia State University, not getting the recommended eight hours of sleep nightly can “lower the amount of growth hormone your body produces.” So, if you wake early, set your DVR to record that 10pm show, and get some sleep. This one is difficult, especially if you are not used to pushing yourself. When you workout, whether you are running, doing aerobics, cycling, lifting weights, whatever, when you feel that you have had enough, go harder. According to a study in the Journal of Applied Physiology, “the frequency and amount of growth hormone the body secretes is relative to the intensity of your workout. Subjects who exercised at a higher intensity experienced greater and more frequent releases of growth hormone after their workouts.” To release that growth hormone, then, you are going to have to up your intensity and get the most out of your work-out routine. Don’t stop until your body can’t go. You’ve probably heard that message from trainers and TV work-out gurus but science backs-up the “no pain, no gain” message. This amino acid combination has been known to treat patients with diseases such as osteoporosis and is used to normalize those who have experienced a steroid overdose. The acids, used as a combination, have been known to raise the body’s HGH levels as well as helping with bone density. The bottom line is, with the right mix of training, eating, and sleeping, you’ll be able to raise your HGH levels without ever entering the pharmacy. 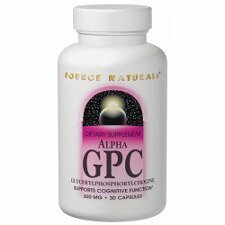 As we age, though, that pesky little pituitary gland slows down transmissions from the brain and, thus, slows down the hormones that pump life and vigor into our bodies. Supplements can help the hormones increase activity and can lead to a better work-out, better mood, and a better quality of life. If you are a young athlete, looking for that edge, though, try the natural methods first. If you work out as hard as you possibly can, eat those light meals and avoid binge and late night eating, and get enough sleep, your body will produce for you what professional athletes pay hundreds of thousands of dollars to get from medical professionals who probably should know better.